This iPad was aimed at students. Looking for a new iPad for the holidays, but not quite ready to splash out on Apple’s high end iPad Pro models? No problem: Apple’s refurb store just picked up the sixth-gen 9.7-inch iPad, with prices starting at $279 for a 32GB model. 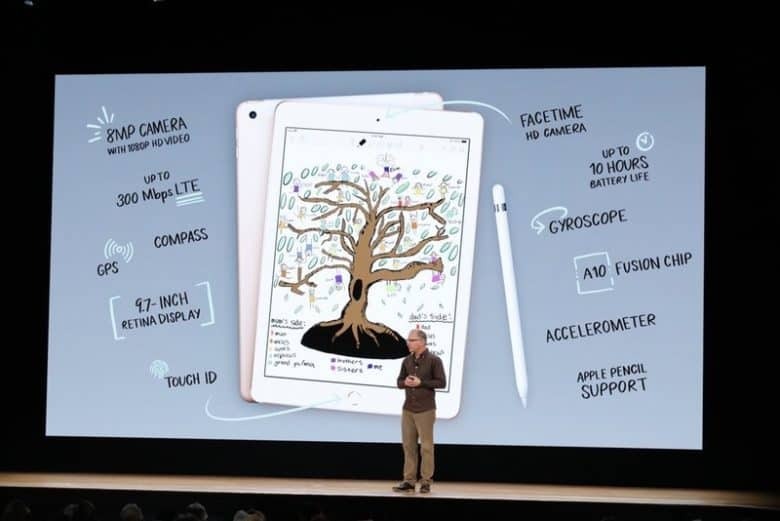 The sixth-gen iPad was announced on March 27, 2018, during Apple’s education-focused event in Chicago. It retails for $329 new. The iPad in question was an upgrade on the 2017 model, with the addition of Apple’s A10 Fusion chip and support for the Apple Pencil. It is available in Silver, Gold, and Space Gray color options, and both 32GB and 128GB storage options. All of these are available through the refurb store, which also offers both cellular and Wi-Fi only versions. A top-of-the-range refurbished Wi-Fi and cellular model with 128GB will set you back $479, an $80 saving on the $559 recommended retail price. Apple’s refurbished products are devices which have been traded in and given an Apple-approved polish, intended to take them back a state comparable with a new device. Each refurbished product comes with a one year warranty. In an effort to increase its focus on the Certified Refurbished Store, Apple recently overhauled the page design.